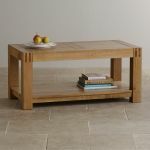 The Alto Solid Natural Oak Coffee Table is the ideal combination of style, practicality and durability. 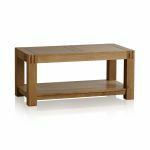 Made by highly skilled craftsmen, this coffee table flaunts quality finger joints on each corner and expansion gaps near the edges on the top which adds strength to the frame. 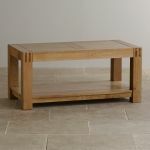 Placed in any living space, it is ideal for serving up coffee, tea, or even cocktails, or whatever you fancy! The premium grade natural oak is finished with rich furniture wax, which accentuates the exquisite grain pattern and golden hues of the wood. 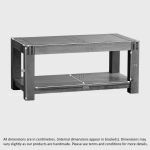 Below the table top you'll find a large shelf which is perfect for tidying away magazines, newspapers or remote controls. 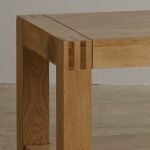 Why not check out the rest of the Alto Solid Natural Oak range - each piece is designed to match perfectly.